Robosapien X™ is an exciting update to WowWee’s award-winning iconic humanoid robot. 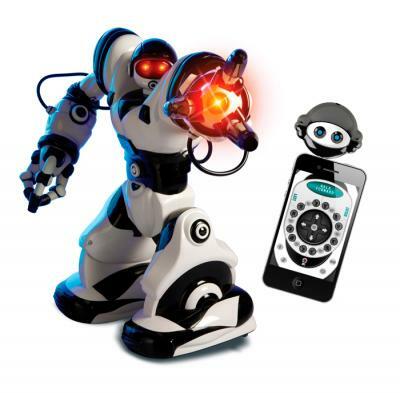 14” tall and designed by a NASA scientist, he’s fast moving, full functioned and comes to life using either the included controller or via iOS or Android device. Fast, full function arms with two types of grippers. Real multi-speed, fast, dynamic walking, running and turning. My experiences with this company and Robosapien, specifically, started off a bit rocky; I received a defective robot at the start. However, after a few weeks of persuading WowWee to help fix my issue, the store manager decided to send me a brand new RoboSapien, free of charge, without having to send my first back. It works perfectly now, and the difference between them is amazing; it is a great product. I love my new robot. I rate this product 5 stars.